Join host Barry Lessow each Sunday morning as he brings stories and has conversations with guests about area non-profit agencies helping local people. Tune in to stay informed and stay involved with this community-oriented show, both on-air and through the podcast episodes here. This week Barry talks with Efrat Feferman, the executive director of the United Way of Monroe County. They discuss the United way fundraising campaign and all the things that the United way does in and around Monroe County. 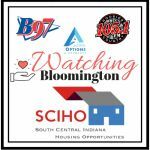 This week on Watching Bloomington, Barry talks with the director of Hoosier Hills Career Center, Christi McBride. Hoosier Hills Career Center offers programs in career development for high school students as part of their high school curricula. 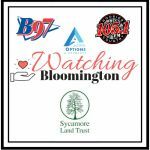 This week on Watching Bloomington, Barry talks with Sycamore Land Trust's communications director, Abby Henkel. Sycamore Land Trust's mission is to preserve the beauty, health, and diversity of southern Indiana’s natural landscape through strategic land conservation and environmental education. This week on Watching Bloomington, Barry talks with founder of Reimagining Opera for Kids, Kim Carballo. ROK is a non-profit community arts and education organization with the goals of introducing children to opera through engaging first experiences and giving developing professional musicians the opportunity to hone their performance skills. This week on Watching Bloomington, Barry talks with the assistant director of the Monroe County Planning Department, Jason Eakin. The Monroe County Planning Department performs a vital role in creating and communicating a vision of the county and acts as the primary coordinating agency in the development, adoption, and implementation of the county's land use plans and policies. 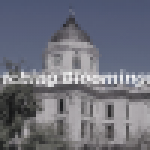 The department provides both current and long range planning services to the various County boards, including the Plan Commission, Board of Zoning Appeals, County Commissioners, as well as to the general public. This week Barry talks with executive director of the United Way of Monroe County, Efrat Feferman. The United Way's mission is to improve people's lives by mobilizing the caring power of our community. Tune in to hear ways the United Way is impacting Monroe County. This week on Watching Bloomington, Barry talks with the director of Financial Aid at Ivy Tech Bloomington, Patt McCafferty. Patt and Barry discuss the importance of filing for financial aid and the upcoming event "College Goal Sunday." 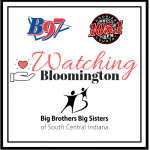 This week on Watching Bloomington, Barry talks with Danell Witmer, executive director, and Tyler Garzinski, events and communication coordinator of of Big Brothers Big Sisters of South Central Indiana. Since 1904, Big Brothers Big Sisters has been changing children's lives by matching them with caring adults to guide them on a path to success. 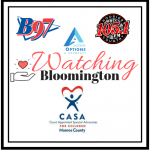 This week on Watching Bloomington, Barry talks with Monroe County CASA executive director, Kristin Bishay. Monroe County CASA is a volunteer-powered program which provides representation in juvenile court for child victims of abuse and neglect. CASAs provide advocacy to child victims to ensure that they remain at the forefront of the court proceedings and find a safe, permanent home as quickly as possible. 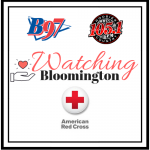 This week on Watching Bloomington, Barry talks with Red Cross Indiana's southeast chapter's executive director, Donna Colon. The Red Cross has been serving the people of Indiana for over 100 years. The Indiana Region serves 6.3 million Hoosiers in 87 counties and comprises six chapter areas. 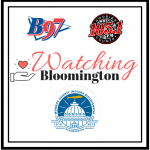 This week on Watching Bloomington, Barry talks with the administrator of the Monroe County Health Department, Penny Caudill. The Monroe County Health Department's mission is to protect, promote and improve the health of all people in Monroe County. This week Barry talks about new year's resolutions and how to keep healthy in the new year. With Robin Parker from IU Health / Community Health. She is the Clinical Manager for the Diabetes Center and Katie Dooley, the Director of the Gold Program at IU Health. They discuss healthy lifestyles, nutrition and physical activity. This week Barry talks with John Barada, the president and CEO of the Bloomington Health Foundation. Bloomington Health Foundation, formerly called Bloomington Hospital Foundation, has been the local philanthropic expert for improving community health for more than 50 years. Thanks to the unified efforts of their donors, business leaders and other local partnerships, they're continuing their relationship with IU Health Bloomington Hospital and expanding their mission to address our most pressing health needs in Bloomington and our neighboring communities. 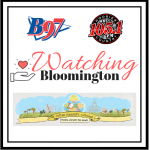 This week on Watching Bloomington Barry talks with Stephanie Shelton, the director of development of LifeDesigns and Genie Mae, director of community engagement at Gentry Park Senior Living Community. LifeDesigns provides services and supports to people with disabilities across Bartholomew, Brown, Greene, Johnson, Lawrence, Monroe, Morgan, and Owen counties. Barry is joined by Amanda Barge, president of the Monroe County Board of Commissioners, and Shelli Yoder, president of the Monroe County Council, to discuss the opioid crisis in Monroe County, and what they're doing to help Hoosiers. This week Barry talks about pets with Leslie Hudson from the Monroe County Humane Association, she's the educator and program manger for the MCHA. This week Barry talks with Emily Pike and Sherrie Shuler from New Hope for Families. New Hope for Families helps families impacted by homelessness gain and maintain stable housing and provides accredited early childhood development services aimed at breaking the cycle of homelessness and poverty. As the holiday season draws closer, Barry sits down with Katie Broadfoot, executive director of Monroe County United Ministries, to talk about what her organization's long history of helping Hoosiers. Barry chats with Amanda Nickey, the president and CEO of Mother Hubbard's Cupboard, about the work they do to keep Bloomington well-fed and healthy. Big Brothers Big Sisters of South Central Indiana Director Danell Witmer joins Barry to talk about the program, the extended family it has provided Witmer, and how it improves the lives of everyone involved. Barry is joined by guests from Bloomington's very own Breast Cancer Awareness Walk on Oct. 27th to talk about the event's past, present, and future. Barry sits down with Amy Stark, the executive director of Girls Inc. of Monroe County, to talk about the work they do to help empower young girls in Monroe County to pursue their goals and make their own decisions. Join Barry as he visits with Efrat Feferman, the Executive Director of the United Way of Monroe County. Join Barry as he talks with Rebecca Warren from the Monroe County Humane Association about their organization and their Barktoberfest event.